Ankit is a silver medalist at IIT Delhi (2011). He published 3 research papers and filed a patent. 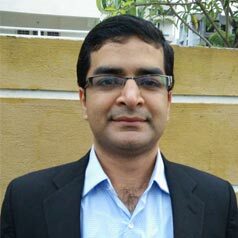 He worked for Data Analytics firm in New York for 2 years deploying fraud analytics solutions at Citi Bank and Metlife. He later started founded Analytics in India in 2013, working with large private banks in detecting fraud. He is now building Signzy, a global digital trust platform that eliminates digital identity and behavioral fraud. Signzy in its short Journey has won awards from RBI, Monetary Authority of Singapore, IBM, Thomson Reuters. Signzy currently offers a digital on-boarding solution for banks, NBFCs and other financial institutions. Most banking services are going digital but one key process that is still offline and hampers consumer experience is regulatory compliance. There is a pressure to dilute digital KYC however digital has higher risk. Ankit and his team at Signzy believe that through a combination of Artificial Intelligence and blockchain they can ensure that digital compliance is convenient but yet secure.